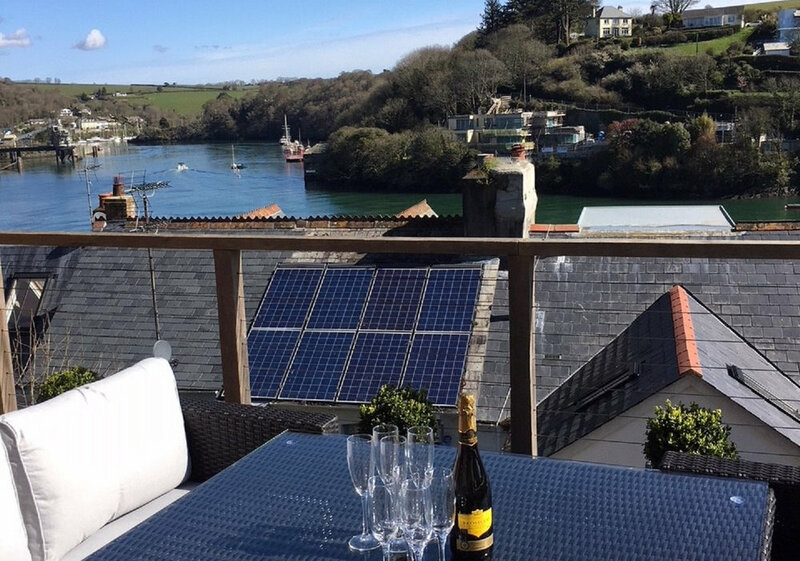 The Lookout is situated over three floors with glorious estuary views and only a few minutes’ walk to the heart of Fowey. 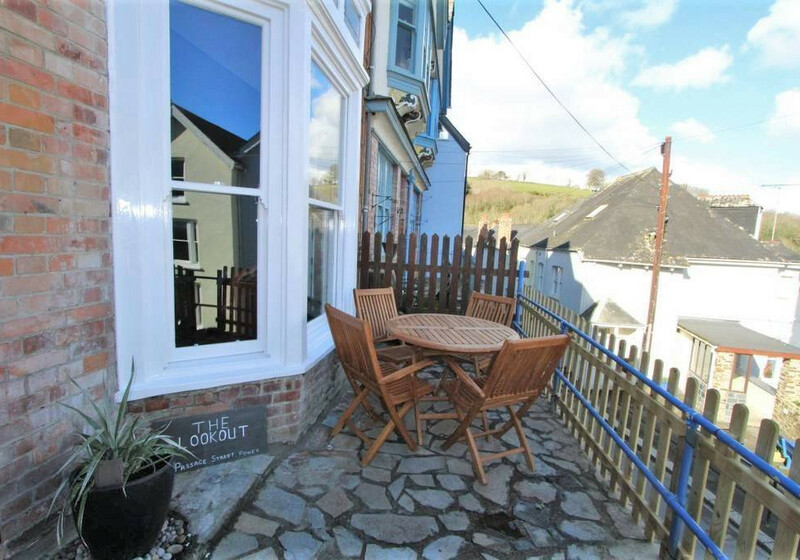 Tastefully decorated throughout with spacious living accommodation and four good sized bedrooms makes this property ideal for those wishing to holiday in the beautiful, historic, harbourside town of Fowey. A large and bright house, The Lookout makes a perfect home away from home. The views are simply stunning and can be enjoyed from the front rooms of the house, the front terrace and the back garden. 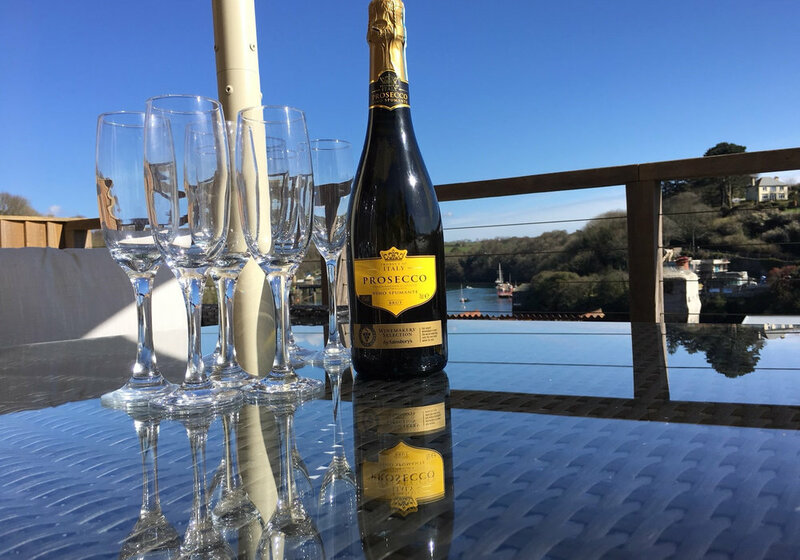 Make the most of the sunshine at The Lookout - walk up the pretty steps in the back garden to the decked terrace and enjoy the fantastic view over the rooftops and along the river. 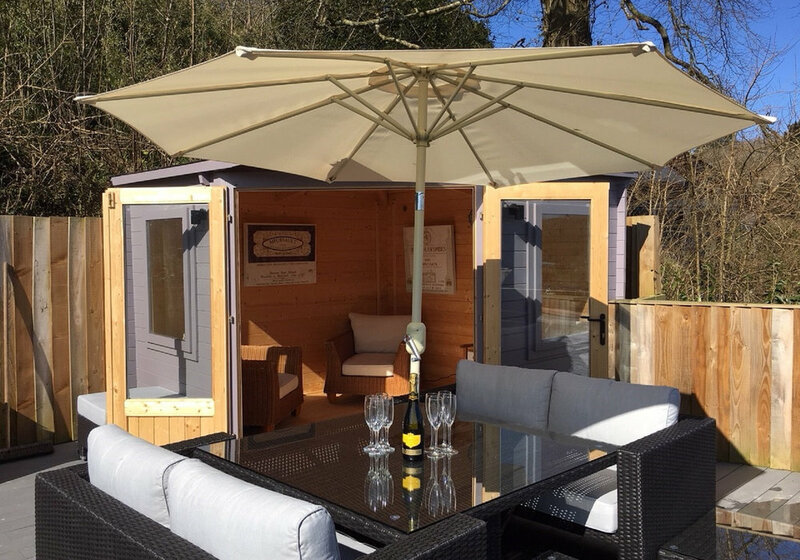 And for the slightly wetter days, keep snug inside the summer house! Ground Floor: Open plan living space with a lounge, dining room, and kitchen. 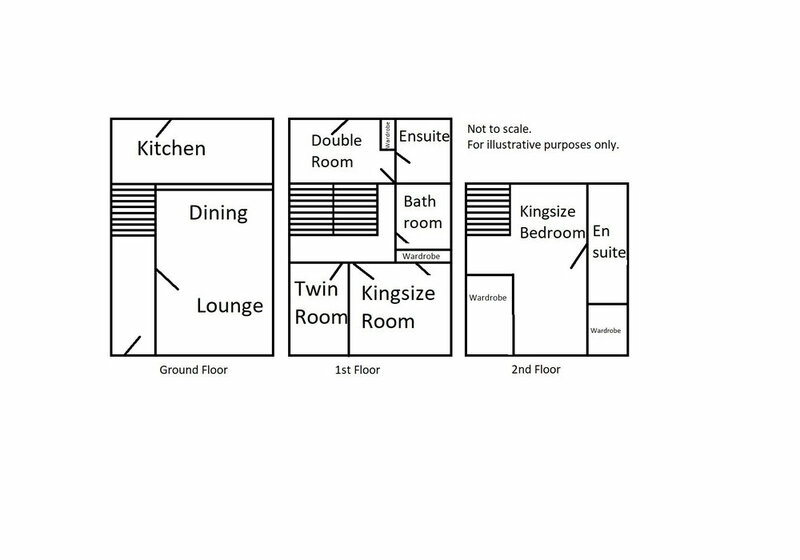 1st Floor: Twin bedroom, king bedroom bedroom, family bathroom, double bedroom with ensuite. 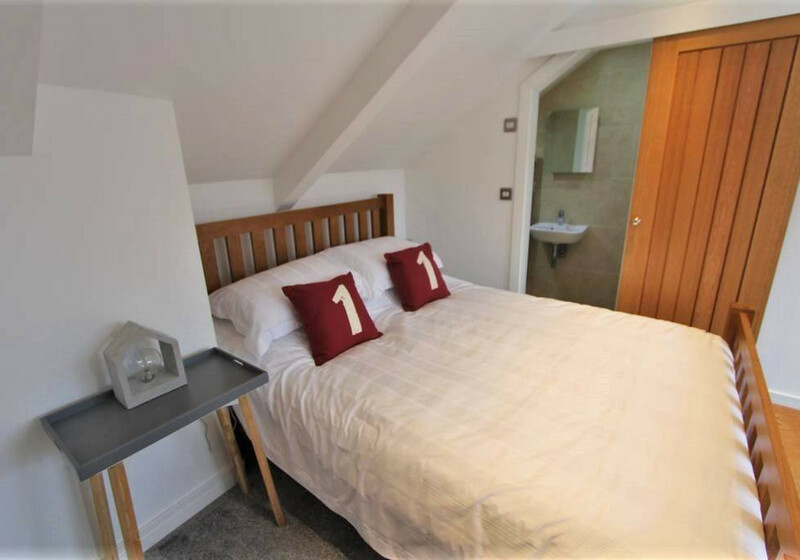 2nd Floor: Double bedroom with ensuite. Prices from £1,070 - £1,875 (Weekly). The Lookout does not have private parking, but it is possible to park for a short period outside the house to load/unload bags. Caffa Mill car park is just 100 yards aling the road. We stayed in Abi’s place for a short break at Easter. The house was great-beautifully decorated and thought out! Little extra touches were a pleasant surprise and what a great view from the top deck! Location-superb! We loved being close to town but with excellent views of the estuary! 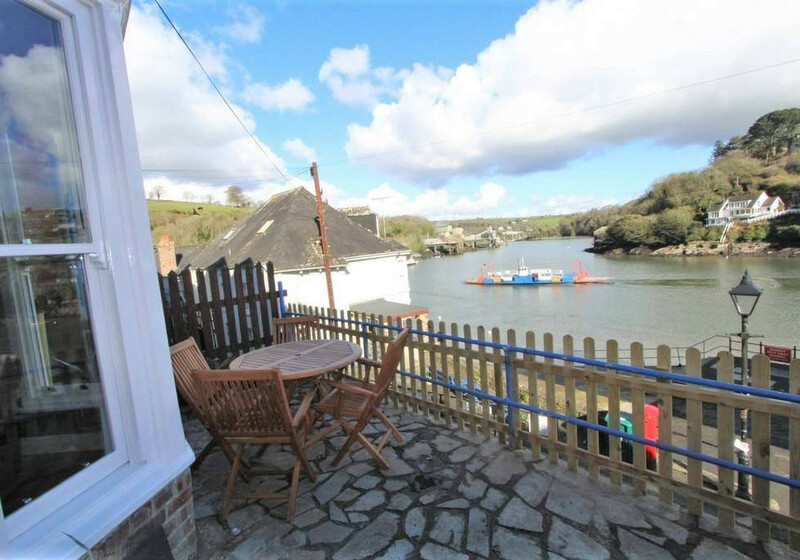 You will do well to stay in this lovely house in a lovely location and close to so many of Cornwall’s great attractions! We will definitely be back! Had a great time, terrace is a brilliant addition to an already awesome house! 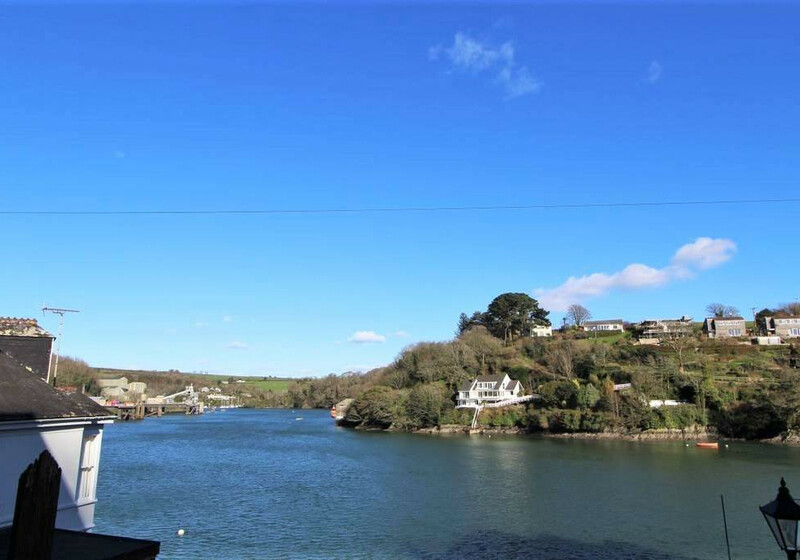 Spacious, comfortable and high spec house in a stunning location close to all the attractions that Fowey has to offer. Highly recommended. We loved staying at The Lookout. It was a great space for kids with good amenities, plenty of bathrooms and a stunning view. 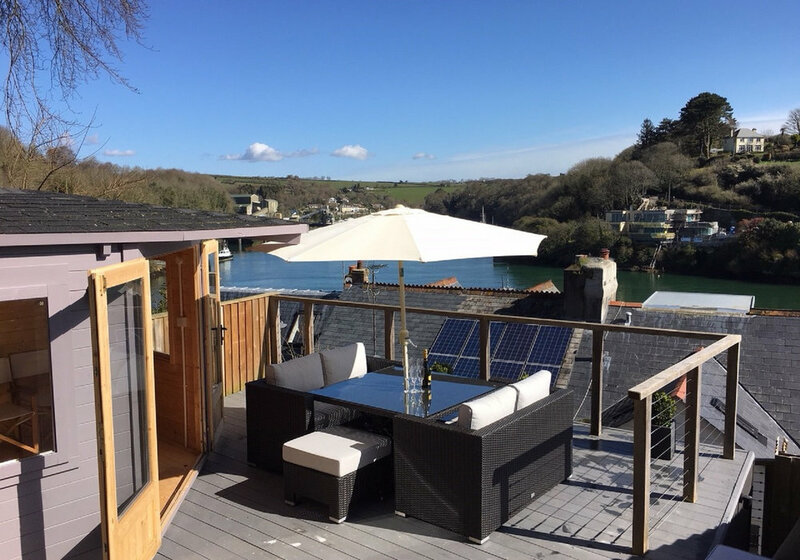 Fowey has everything you need and it’s an easy drive to Eden, Heligan and other beaches. We’d definitely return. Alex via AirBnB The house is in great condition and both the kitchen and bathrooms were new and in excellent working order. The communication and customer service was perfect. The location of the house is exactly where it needs to be: short walk to the ferry car park and the shops in town with a stunning view of the river. The secret garden at the back was a nice touch. Will definitely look to come back next year. We were there for the Christmas festival. It was a great experience and well organised. We joined the procession at the quay some 200 yards towards town. Free mulled wine was in plentiful supply being served warm from thermos flasks. A truly memorable experience. The house was excellent and comfortable but we did all think the kitchen was over engineered. We are all good cooks and believe the appliances could have been a lot more intuitive. But we got there and had a fabulous Christmas dinner. Beds were comfortable and the outlook was amasing. We had a very wonderful time at this beautiful house. There was everything you need and the few from the terrace and the living room window was amazing. We spent a lot of time there just looking at the river and having good drinks. Fowey is a nice little town where you can find lots of little shops good restaurants and pubs. We will come back! Thanks for a wonderful holiday! The house is absolutely beautiful, there was lots of space for us all, the seating area at the front was lovely for breakfast and people watching. Location perfect. 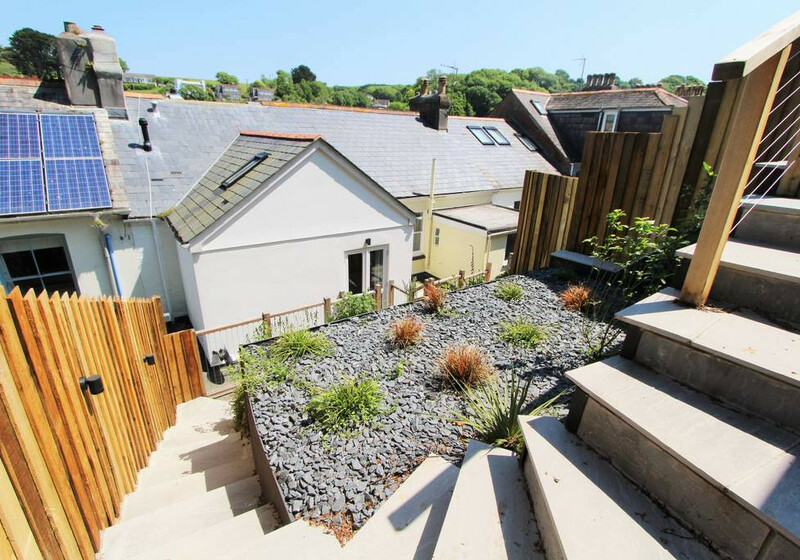 Wonderful house, renovated to a high standard, centrally located in Fowey, but far enough away from the centre of town to offer some peace. Beautiful harbour views. Beautiful house and a brilliant location, what more could you want for a week away on holiday. Fowey never disappoints us every time we visit and we will definitely look to come back again in the not too distant future. We had a wonderful stay ( and Christmas ) in The Look out. 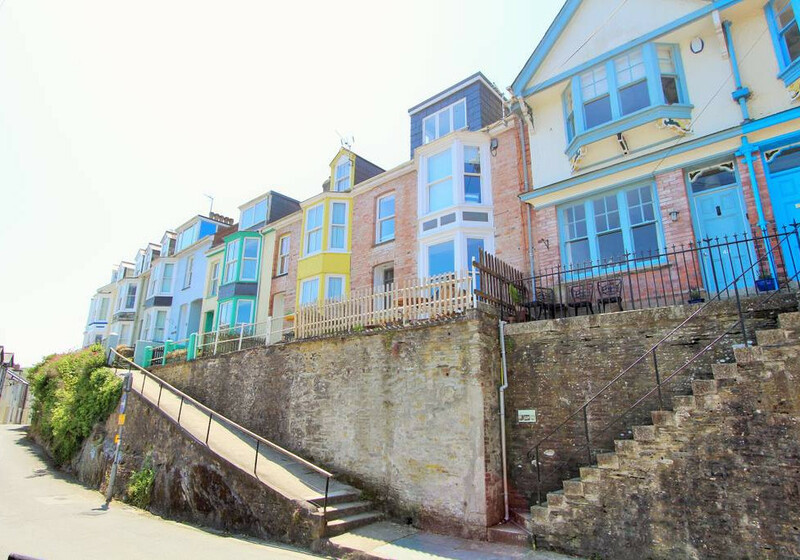 Great position overlooking the estuary, close to the ferry ( great coastal walk ) and very close to the centre. Immaculately presented house in a contemporary style we like. Spacious bedrooms all with great sea views . A lovely open plan living area and very well equipped kitchen. We really appreciated our Christmas treats and the beautiful Christmas tree on arrival. A very memorable stay. Thank you very much . Fabulous central location which comfortably housed two families. Parking was about £30/£40 for the week and only a few hundred yards up the road. Door step drop off is a breeze. 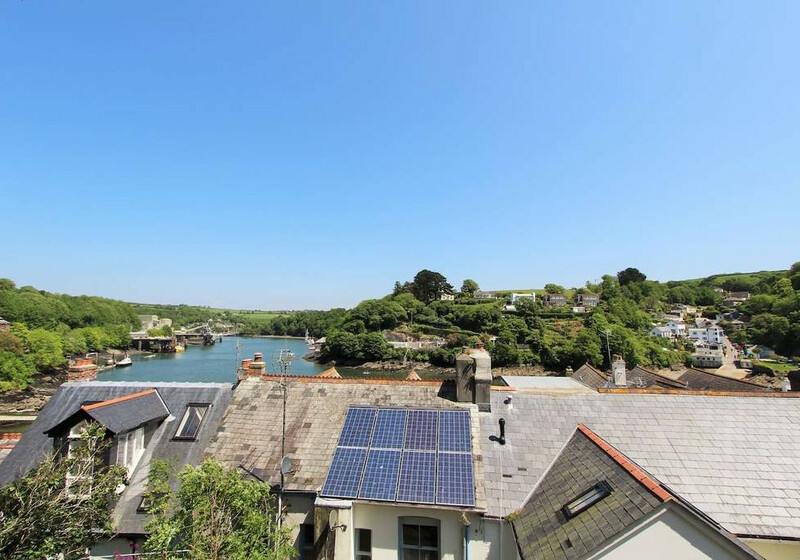 Once you've visited Fowey you will appreciate that cars aren't required and definitely impossible to be attached to any property worth staying in! The house is three lovely storeys and immediately opposite the slip, so crabbing and boat fun was had; while others in the party cooked dinner, drank wine, and every-so-often checked on the others. Binoculars from Outriggers were bought and smugglers watched day and night 😉򒐮 Marvellous week and The Lookout was just perfect. Online shop delivery is perfect and the delivery gang from either major supplier are super friendly. Internet a breeze. That said; the local shop in town is really well stocked and very reasonable. The bakers are superb and open early for those loving an idilyic five min stroll to their door. It's a great position to visit many local sights, and we did, but *the most* fun was had in town with the locals and messing about in boats. Memories were made! We will definitely be booking up again for whenever we can get down to gorgeous Cornwall.